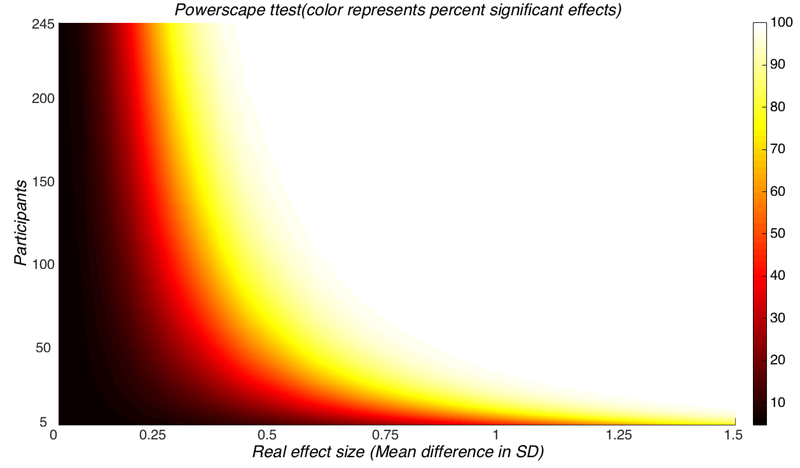 Statistical power needs are often counterintuitive and underestimated. This has deleterious consequences for a number of scientific fields. Most science practitioners cannot reasonably be expected to make power calculations themselves. So we did it for them and visualized this as a “Powerscape”, which makes power needs immediately obvious. This entry was posted in Psychology, Science. Bookmark the permalink.